Lesha Ruth Adams of Houston, Texas, was taken far too soon on Saturday, March 30, 2019 at the age of 55. Lesha has always been selfless in her pursuit of helping others. Saturday, she was struck by a car while helping a man in a wheelchair cross the street. She has always put others before herself, and anyone that knew her even for a minute is not surprised that she gave her life helping a stranger in need. 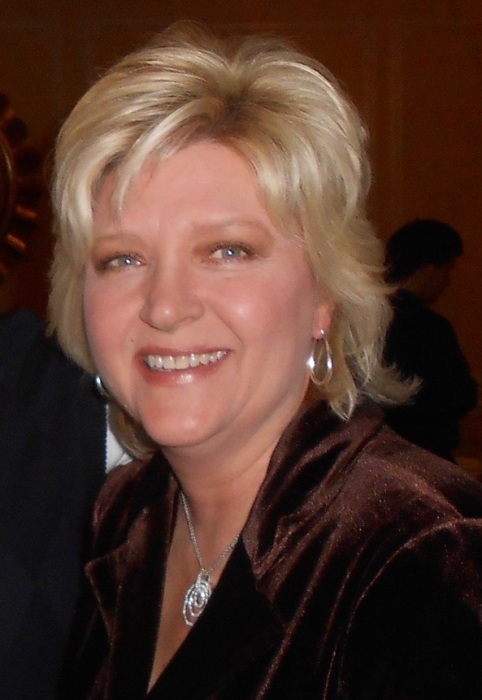 Lesha was a devoted wife, mother, daughter, sister, and friend. Lesha was born in Lubbock, Texas, on April 16, 1963. Her family moved to Lovington, New Mexico, where she grew up until she graduated high school and moved to Houston, Texas. Lesha remained in Houston where she was busily and happily raising her family. Lesha is survived by her wife, Stefanie Marsh, her 2 daughters, Olivia and Ava, her mother, Ruth Adams, her sister, Teri Webb, her nieces and nephews, Traci & Kopi Vogiatzis and their four children, and Ron & Jennifer Shaull and their three children. There will be a memorial service for Lesha on Friday, April 5th, at Bradshaw-Carter Memorial & Funeral Services, 1734 W. Alabama St., Houston, TX 77098, from 5:00 until 8:00 PM. Breast cancer awareness was near and dear to Lesha’s heart, and for that reason the family asks that in lieu of flowers, donations be made to The Rose, https://www.therose.org/donate-now/, in her honor.